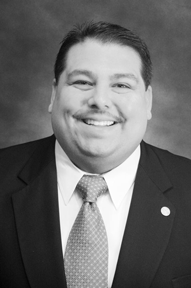 AUSTIN – State Representative Ryan Guillen (D-Starr) today announced a grant program geared to help Texas students in 8th to 11th grade with a passion for the arts enhance their skills and pursue their dreams. Students who apply, fit the necessary criteria, and display outstanding artistic talent may be awarded grants of up to $2,500 per year for two years to further their advanced studies in their art disciplines. "Serving as Chairman of the House Committee on Culture, Recreation, and Tourism, I believe this program will enrich students' lives by giving them a unique chance to further develop their talents," said Rep. Guillen. "I urge educators, civic leaders, and parents to join me in encouraging our students to take part in this exceptional opportunity." The Young Masters grant program, administered by the Texas Commission on the Arts (TCA) every other year since 2002, is funded through the efforts of the Texas Cultural Trust, a nonprofit group whose mission is to inspire, integrate, and illuminate the arts in our state. The intent of the program is to advance the creative economy of Texas by investing in the future of the arts. Eligible students must be in 8th to 11th grade, must be involved in a dance, literary arts, media arts, music, theater, or visual arts school-based program, and must maintain passing grades in all academic areas. In addition, they must be legal United States and Texas residents. The application deadline is Tuesday, November 15, 2011. Past Young Masters award recipients have used the grant to attend summer programs at Juilliard, the Joffrey School of Ballet, the Sewanee Young Writers' Conference, the Digital Media Academy, the Aspen Music Festival, the California Broadway Theater Project, the School of the Arts Institute of Chicago, and the Rhode Island School of Design, among other national institutions. For more information on the Young Masters grant program and for a printable copy of the application, please visit the Texas Commission on the Arts website at http://www.arts.state.tx.us/.